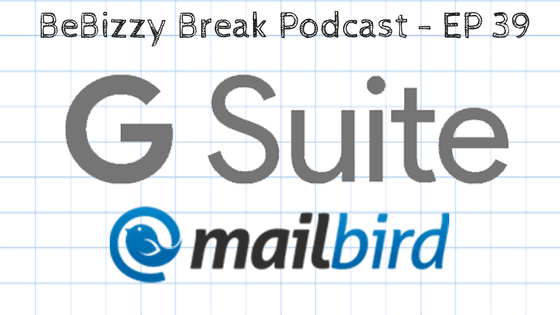 In this episode we talk about how Capterra can help you find the right software solution to manage your business. Make sure you have plenty of time to run the updates, possibly a couple of hours. Always back up and know there’s that small chance the backup may fail and you’ll either have to revert back, or it could cause your system to become unstable. Fluent Design – a new design language from Microsoft regarding animations and effects. Some included changes are blur effects, easier resizing of apps and windows and a “shinier” design for the Start Menu. You can also pin website shortcuts to the task bar. This was available in previous versions of Windows, and now it’s back. New emojis – dinosaurs, genies, zombies and more are part of the Unicode updates for the fall creators update. Cortana – Cortana notifications can now be seen on your Android phone. And you can control Windows a bit with Cortana, including locking, signing out, shut down or restarting your computer. Meant for high-profile celebrities, politicians and other possible targets for hacking. It also locks down your files and email to ONLY Google apps, eliminating the possibility of using 3rd party programs to attain the data. This will make using Google’s products a bit more tough, but if you’re concerned about information security more than you are about ease of use, this may be a good solution. Capterra is a website with a mission to match up businesses with the right software to optimize any part of the operation. Whether it’s project management software, bookkeeping, marketing, testing or just about anything else, Capterra can suggest the right software taking into account budget, ease of use and more. Virtually any sort of software for your business organized by software type, then displaying the most used, best cost effective or easiest to use. 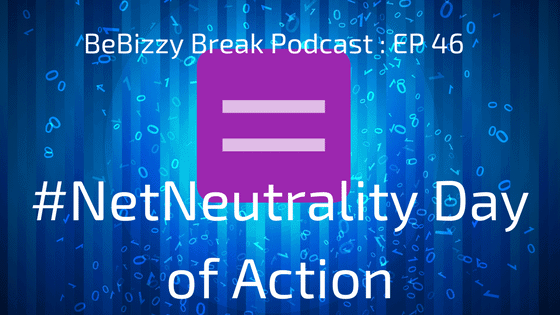 Today’s episode is a quick view of #NetNeutrality. If you’re unfamiliar with Net Neutrality, it’s simply the call to ensure the same speed, access and availability for all websites… basically what we have now. Many companies, and of course some internet providers, would love to have priority access to the web, making their sites run at full speed, and throttling the rest of the websites. Many people and companies are speaking out in defense of net neutrality, including Tim Berners-Lee, the man many credit with inventing the internet. Join in the discussion and defend Net Neutrality by getting involved on Twitter using the #NetNeutrality hashtag, communicating with friends, family and elected officials, and supporting the companies listed on this article from the Verge.